JetBlue has a new deal that allows passengers to fly as much as they want for $599 a month. JetBlue has a deal for you: All you can fly for $599 a month. The New York-based airline announced the plan on Wednesday, in which passengers can get a pass that allows them unlimited flights for the month. 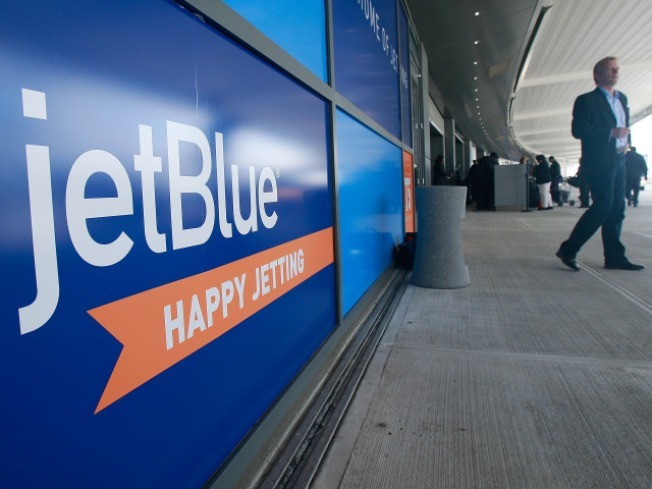 Pass holders can fly to any of JetBlue's 56 destinations between Sept. 8 and Oct. 8, with no seat limitations or blackout dates, the company said. Airline analyst Bob McAdoo, of Avondale Partners, told CNNMoney.com he "has never seen a promotion like this before." Air Canada had a similar promotion in 2007, but the price was higher: $1,657 per month. Still, with JetBlue flights already slashed as low as $100, customers might have to fly 6 or 7 times in a month before they break even. Customers must buy the $599 pass by Aug. 21, and they can book flights within three days of the departure date. All travel using the pass must be booked between Aug. 12 and Oct. 5. Taxes and fees are included for domestic flights.